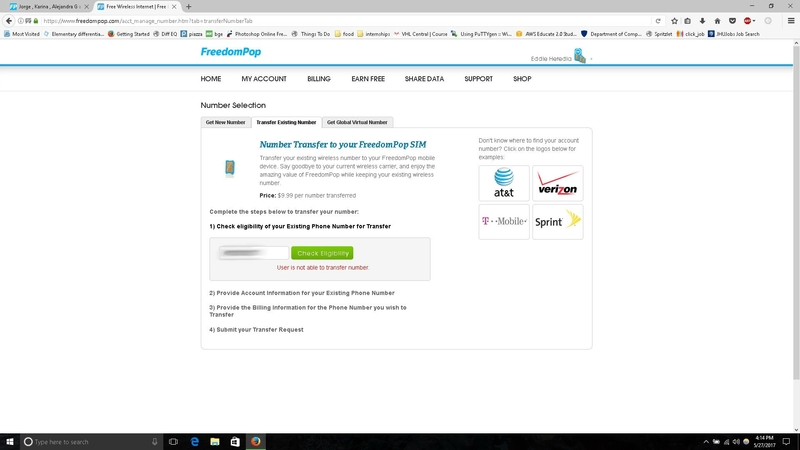 Hello I am trying to port my phone number from Net10 to FreedomPop. But when I checked to eligibility of the phone number I received this message "User is unable to transfer number". Can someone help me with this? My Net10 account is still active now, but is ending in a few days. Thank you. Here is a picture of the error.